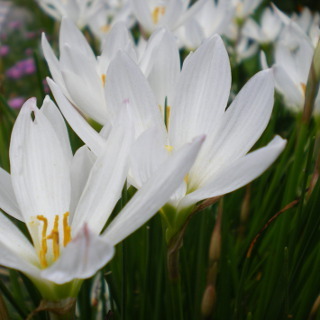 Rain lily blooms flower to the sky with thin leaves. The colors are white and pink. It is called Tamasudare in Japanese.